Scotland's finest! Simple Minds have been thrilling us since they first formed in late 1977, taking their name from a lyric in David Bowie's 'The Jean Genie'. Rapidly outgrowing earlier punk stylings Simple Minds soon established a broad, epic and ambitious sound with subtle dark overtones. Their catalogue is pretty vast and stretches from the debut Life In A Day to a recent live set and 2012's Graffiti Soul. Being one of the rare acts to have survived across five decades it only seems like yesterday that Jim Kerr, Charlie Burchill, Mick MacNeil and Derek Forbes broke out of the constraining New Wave of New Romantic blanket and delivered such stand alone classics as Sons and Fascination/Sister Feelings Call, the 'Holy Grail' album New Gold Dream and Sparkle in the Rain. Along the way they've worked with Herbie Hancock, Lou Reed, Peter Gabriel and Trevor Horn, given U2 a considerable run for their stadium filling money and sold huge amounts of albums and singles en route. They opened the Live Aid Philadelphia concert and were key to the staging of the Mandela Day event at Wembley Stadium. Supporting good causes while maintaining a credible career at the top doesn't work for everyone but Simple Minds have straddled the divide. Even now you'll find them packing out halls on their Greatest Hits + tours or participating in prestigious Record Store Day events. They're a band for all seasons. Having dispatched the punky Johnny and the Self-Abusers Kerr, Burchill, MacNeil, Forbes and initial drummer Brian McGee made their debut with the John Leckie produced Life In A Day which nodded at Magazine and Roxy Music but was otherwise a pleasant entry. Hints of the Velvet Underground and the smarter side of decadent glam rock were more in evidence on Real to Real Cacophony and Empires and Dance where they began to outstrip their influences and forge ahead towards their stated desire to become one of the biggest groups in the world. 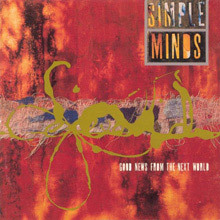 The grandiose Empires pushed Simple Minds to the forefront in the first year of the new decade. A strange, beguiling record with a skeletal funk beat and shades of German disco in the margins you could know hear the band find its feet. 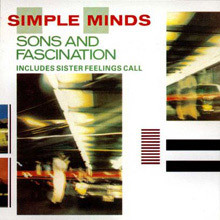 Slow burners still - it wasn't until Sons and Fascination/Sister Feelings Call (actually two separate albums but now linked together for all time) that the gods smiled on the Minds. Working with former Gong man Steve Hillage they jumped out of their comfort zone and tackled the mainstream rather than loitering amongst more esoteric undergrowth. Available in expanded form now, the sheer joyousness of the art pop and synth rock fusion within tracks like The American, Sweat in Bullet and Love Song persuaded then press that here were some real contenders and the set is rightly regarded as one of the most essential artefacts of its time. Following a brace of handy catch-up compilations Themes Vol 1 and Celebration the Minds finally hit pay dirt and ended their struggling with the magnificent New Gold Dream (81-82-83-84), a prescient title since it coincides with their vaulting rise to the top. This remains a must hear recording: an album that has created a mythology and an atmosphere all its own. Small wonder that this disc still connects with modern listeners. 'Someone Somewhere in Summertime', 'Promised You A Miracle' and 'Glittering Prize' are simply Simple Minds putting their money where their mouth is. It's a five star affair and transcends anything they'd tried before while cleverly throwing light on their past It was like them saying: see, we told you were good. 1984's Sparkle in The Rain witnessed the end of the catch up since it soared to number one and captured Kerr and company stripping away all the extraneous matter and, like U2, honing their act into a stadium friendly neutron bomb. The singles 'Up on the Catwalk' and 'Waterfront' remain classic rock songs that throw down a slow strut that's guaranteed to raise the dead. Their version of Lou Reed's 'Street Hassle' is audacious and the epic statement is hammered home in other cuts like 'East at Easter' and 'Shake Off the Ghosts'. So by the mid-eighties Simple Minds had fulfilled their desire to hold an audience. Their US breakthrough came with the number one single 'Don't You (Forget About Me)', which appears on The Breakfast Club soundtrack. Again an easy chart topper in the UK, the Simple Minds Midas Touch is found on 'All The Things She Said', 'Alive and Kicking' and 'Sanctify Yourself' - bold, anthemic and confident with Jimmy Iovine's production adding a glossy lustre. Live - In The City of Light, a double album at the time, is more than a souvenir of a band at its peak while Street Fighting Years saw a switch back to more political and social writing and a growing familiarity with Celtic/Soul acoustics and a spicier atmosphere in tune with the period. Shortly afterwards comes the first of the Themes Volume I series which documents band's mastery of the 12" mix format. There are six of these essential box sets. 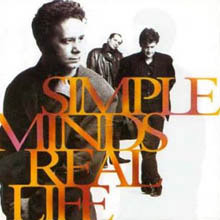 Slight changes of line up aside Simple Minds entered the 1990s in terrific form with Real Life which utilises the orchestral skills of Will Malone, Carol Kenyon and Lisa Germano on backing vocals and violin respectively and strings conducted by Gavyn Wright. Here is a band aging up gracefully and with material to match. The Kerr/Burchill partnership has always maintained high standards and Good News from the Next World, where a variety of top class session rhythm players include bass legend Marcus Miller and top-notch drummer Vinnie Colaiuta, and a soaring soundscape ensure a vivid headphone experience. If they've come an awfully long way from the days when they were a wet behind the ears wannabe punk act Simple Minds have remained true to their ambition. For Jim Kerr and Charlie Burchill the band is more than a way of life and not just a labour of love. The Celebrate (Greatest Hits) is a handy primer but the best advice is to start at the beginning and watch them as that promised miracle becomes a reality. Simple Minds' astonishingly rapid ascent from humble and derivative post-punk to platinum and transcendent art pop is just as remarkable as the descent that followed it. More remarkable is the fact that a fair portion of the band's fans have such a strict discographical line in the sand drawn -- right at the chart-crashing masterpiece that is New Gold Dream -- where both sides overlap but don't dare cross. While fans of the band's earlier work essentially drop off with that record (and choose to live in blissful denial that the band existed after that), those on the other end are more or less oblivious to what's on the other side. So what's on that other, earlier side? Five studio albums released within the span of three years. Five studio albums that range from safe to bold, from impenetrable to accessible, from strange to puzzling, and from good to pee-your-pants phenomenal. 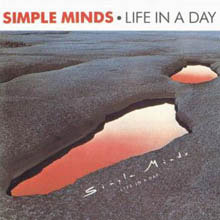 Life in a Day, the first of the five records released during this fascinating pre-fame period of Simple Minds' career, is easily the least of the first five. On their debut, they seem to run with a template based on the jittery bounce of Roxy Music's "Virginia Plain" and the keyboard-accentuated lunatic punch of Magazine, a band that had released their own debut a year prior to Life in a Day. (Simple Minds would later release an album with the same title, Real Life. Coincidence?) Despite the growing pains, this is a skilled and assured assemblage of guitar-heavy post-punk, with Jim Kerr's over-caffeinated yelp taking the lead role. The arrangements are full, direct, and sharply executed. The high points: the teeter-tottering title track and the J. Geils Band-like swagger (honestly!) of "Someone." The low point: "Pleasantly Disturbed," an epic Velvet Underground-inspired limp that lasts eight very long minutes. The 2013 Greatest Hits package of 49 tracks on three CD’s which features their biggest and greatest hits including ‘Alive and Kicking’, ‘Promised You a Miracle’, ‘Waterfront’, ‘Belfast Child’ and ‘Don’t you Forget About Me’ plus two new recordings ‘Blood and Diamonds’ and ‘Broken Glass Park’ – probably the most comprehensive collection available and very well reviewed. Riding the coat tails of the John Hughes flick The Breakfast Club, Simple Minds finally broke America with their theme song "Don't You Forget About Me," and their 1985 release Once Upon a Time captured the heart-wrenching excitement found in bands such as U2. They were now one of the biggest names in music and Jim Kerr's thirsting vocals became the band's signature. Once Upon a Time, featuring producer Jimmy Iovine (U2, Stevie Nicks, Bruce Springsteen), showcased more of a guitar-driven sound. The band's heavy synth-pop beats had relaxed a bit and Charlie Burchill's charming playing style was most noticeable. Also enlisting the choir-like beauty of Robin Clark, Simple Minds' popularity was expounded on songs such as Alive &amp; Kicking" and "Sanctify Yourself." This album was one of their best, most likely leading the pack in the band's album roster, because it exuded raw energy and solid composition not entirely captured on previous albums. Scotland's Simple Minds get creative and passionate on Sparkle in the Rain, their seventh album released prior to their mid-'80s heyday of heralding the charts. Produced by Steve Lillywhite (U2, Morrissey, XTC, Psychedelic Furs), Sparkle in the Rain marks the band's best effort thus far, capturing thick seascapes of illustrious lyrical visions. Frontman Jim Kerr's anthemic love songs are political and personal, and synth-beats throb over Charlie Burchill's new wave third-chord guitars and swooning basslines. Songs like "Waterfront" and "Book of Brilliant Things" are finely cut tracks with Simple Minds' signature harking, but the glossy verse behind "Up on the Catwalk" is what's most appealing. Piano vibes are pinch-hitting and Kerr's songwriting thrives on celebrity and the falling grace that coincides that. 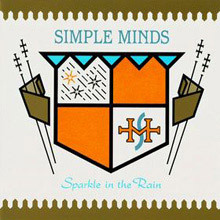 Sparkle in the Rain is a glimpse of what's to come from Simple Minds. Kerr's heart-wrenching vocals soar and such emotion only leads to earning a global following. Like U2 did with 1984's The Unforgettable Fire, Simple Minds will touch hearts by stripping their soul. The process has already begun on Sparkle in the Rain. 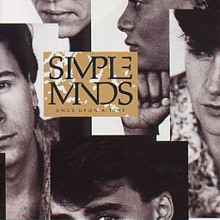 The 8th studio album by Simple Minds released in 1989 produced by Trevor Horn and Stephen Lipson. Smash Hits reviewed saying that it was packed with the “kind of crowd-rousing-flag hoisting anthems that everyone expects from the Minds”. Stand out tracks – ‘Street Fighting Years’, ‘Belfast Child’ and ‘This is Your Land’ – which features a cameo vocal performance from Lou Reed. Real Life is the ninth studio album by the Scottish band Simple Minds, released in April 1991. The album reached #2 in the UK, and #74 in the United States. Four singles from the album were Top 40 hits in the UK, including the Top 10 hit "Let There Be Love". In the US, "See The Lights" reached the Top 40 and also reached #1 on the US Modern Rock Tracks chart. 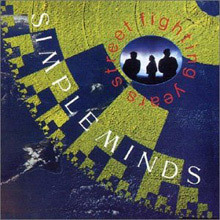 This was the first Simple Minds album recorded without keyboardist and original bandmember Mick MacNeil, who left the band after the previous tour in 1989. The core band on this album comprise only Jim Kerr, Charlie Burchill, and Mel Gaynor (who all appear on the cover), with the remaining personnel being session musicians. Good News from the Next World is Simple Minds' tenth studio album, released in 1995. With a sudden resurgence of '80s new wave from both revivalist acts (the Killers, Interpol) and reunions of the old guard (Duran Duran), the time was certainly right for other veteran acts to "get back in the ring," so to speak. 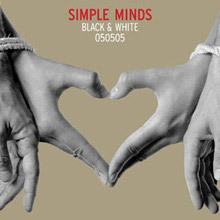 And Simple Minds did just that, with the release of 2005's Black and White 050505. Founding members Jim Kerr (vocals) and Charlie Burchill (guitar) are back once more, with an album that manages to incorporate both elements of their earlier, best-known work (such as 1985's Once Upon a Time), as well as modern sounds. That said, Kerr and Burchill wisely don't stray too far away from their identifiable sound (a la U2's post-Joshua Tree work). This is no more evident than in the track "Different World," which doesn't sound too far off from a more polished Dandy Warhols composition, or the soaring album opener, "Stay Visible." A major factor in the group's creative rebirth can be attributed to the input of Bob Clearmountain, who previously worked with the band on its aforementioned 1985 album. Maybe something there's something good about all this '80s nostalgia -- inspiration for older acts to issue surprisingly strong albums, as evidenced by Black and White 050505. 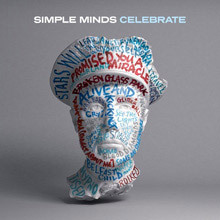 For their fourth album in three years, Simple Minds signed on with Virgin and enlisted Gong's Steve Hillage as producer. The sessions continued the group's impressive run of high-quality output, but there are instances where ambition gets the best of them. Though their work with Hillage hardly spawned anything on a plane with the two albums that preceded it and the one that followed it, it's still a substantial piece of the Simple Minds puzzle. Bridging the art disco of Empires and Dance with the pop masterpiece New Gold Dream, the album falters when the band seems to be reaching a bit too far for their own good. The other stumbling block is Hillage's production: Where the basslines of Empires and Dance snapped and tugged and where the drums hit with brisk smacks and thick thumps, the echo-gauze of the production work here diminishes the impact of the band's greatest asset and makes everything sound bigger and busier than necessary. (The massive qualities of New Gold Dream sound much more natural and less forced in comparison.) The record isn't without moments of brilliance, like the exquisitely detailed "70 Cities As Love Brings the Fall" (a great balance between grand melodies and bizarre noise), the insistently snaking "In Trance As Mission," and "Sweat in Bullet," which has sparkling keyboard parts and crafty guitar interplay. Aside from these moments, the mind tends to wander and wonder if the band was trying to do too much. Upon its release, Sons and Fascination was issued for a limited time with a bonus LP, the scattered Sister Feelings Call, which includes a great pre-Sons and Fascination A-side ("The American"). When Virgin issued Sons and Fascination on CD in 1985, the majority of Sister Feelings Call was tacked to the end.